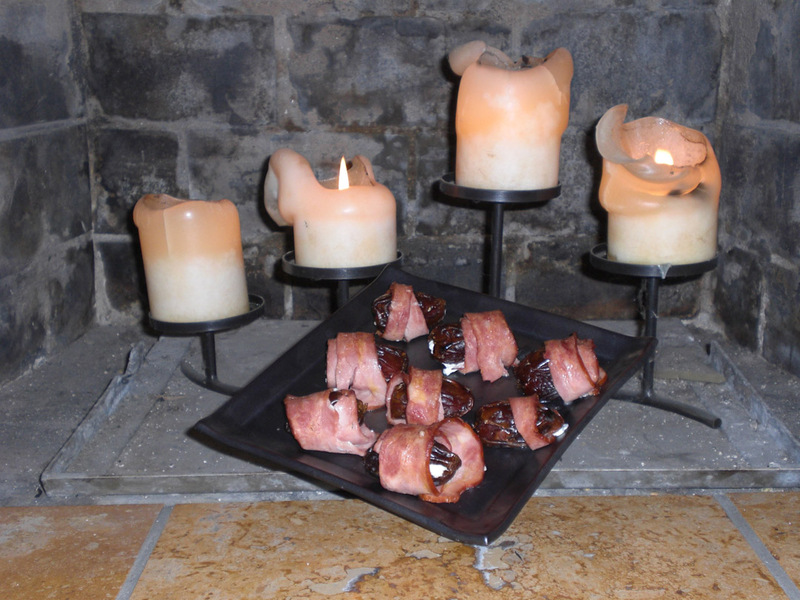 A Cheesy Meaty Date for your charming magical date. Appetizers and wine are usually all you need in the spirit of “keeping it casual.” This little ditty makes you look like a fancy French gourmand, ooh la la! 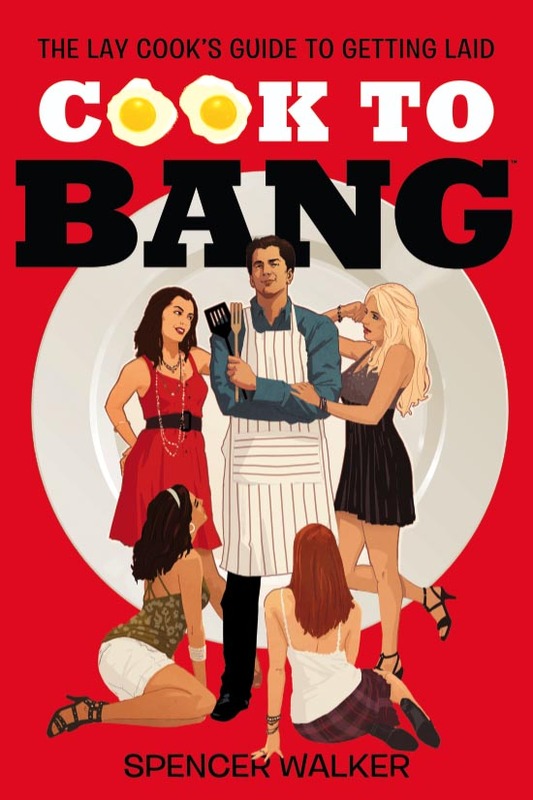 If this dish takes you any longer than 7 minutes to prepare then you probably too drunk, stupid, or both. For an extra classy touch, have the dates cooking as your date walks in the door. So impressed they will be, the fact these finger foods were an afterthought will be completely lost. 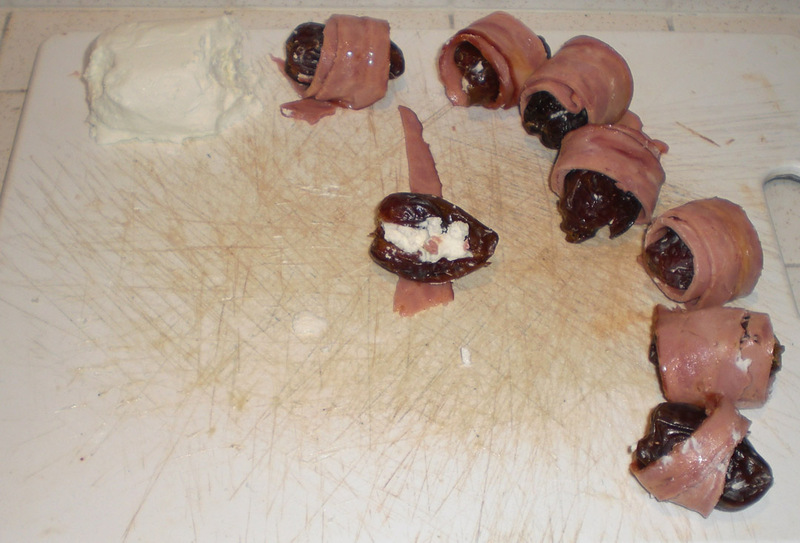 Stuff each split date with a piece of goat cheese and push them back together. 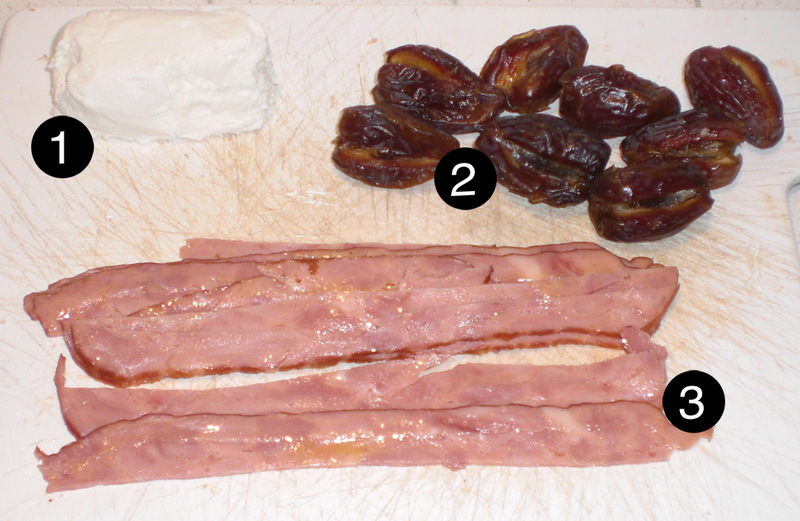 Wrap a bacon strip around each date. Place the dates on a section of tinfoil turned up on the sides so no grease runs. Place in broiler (easy with a toaster oven) and cook until bacon browns. Allow to cool and let them loose along with her animalistic attraction to you.